Richard Beale Colvin was born on 4 August 1856 the son of wealthy Mr and Mrs Beale Blackwell Colvin who lived at Pishiobury, Hertfordshire. Richard was educated at Eton and Cambridge University. In 1879 he joined the East Essex Militia as an officer, transferring to the Loyal Suffolk Hussars in 1889 as second in Command. He was made a JP in the same year. In 1885 he moved to Felix Hall at Kelveden, Essex and took over as master of the East Essex Foxhounds. In 1890 he became High Sherriff of Essex a position he was to hold again in 1934. At the start of the Boer War he was appointed as Deputy Assistant Adjutant General for the Special Corps of Imperial Yeomanry and then given command of the 20th battalion Imperial Yeomanry who became known as the Rough Riders. He was mentioned in despatches during the Boer war and was awarded the Queen's Medal with four clasps and the CB Military. On his return to England he approached the local Hunts and raised an Essex Yeomanry with one unit from each hunt in Essex and took command of the new body. In 1905 he became President of the Essex Rifle Association remaining on their committee up to his death. In 1908 he was appointed as chairman of the Essex territorial Force Association becoming it's President, a position that he held until his death. 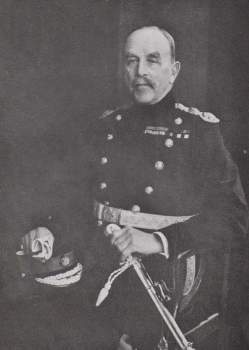 In 1914 Colonel Colvin raised and commanded the 2nd Essex Yeomanry for a period before he was given command of the 2nd London Mounted Brigade who were tasked with Home Defence. Je was awarded the honorary title of Brigadier General. His next task was to act as County Commandant of the Essex Volunteers whom he organised into seven battalions to number over 10,000 men of all ranks including a motor transport corps before moving to France as Area Commandant. In 1917 he returned to England as Hon Colonel of the Essex Volunteer Regiment and in 1922 Hon Colonel of the 104th Brigade RFA ( Essex Yeomanry) and the 54th ( East Anglian) Signals. He was for many years President of the Essex Yeomanry Old Comrades. In 1918 and 1923 he was elected as the MP for Epping representing the Unionist Party. he accepted. In 1926 he was appointed as Assistant Provincial Grand master of Essex Freemasons, later to become the Grand Master. In 1929 he was appointed as Lord Lieutenant of Essex and in 1934 was created a Knight Commander of the Bath. Richard Colvin died at his home at Monkhams, Waltham Abbey, aged 80 years, on 17 January 1936. 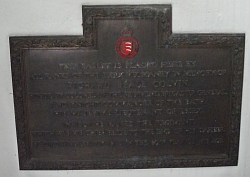 His funeral was held at Chelmsford cathedral on 24 January 1936 with an interment at Cheshunt. The Cathedral was packed with people and messages of sympathy came from many organisations across Essex. In November 1937 a memorial to Sir Richard was unveiled at Chelmsford Cathedral.